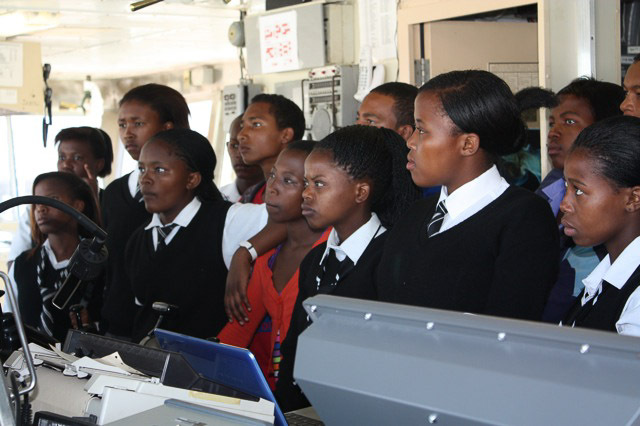 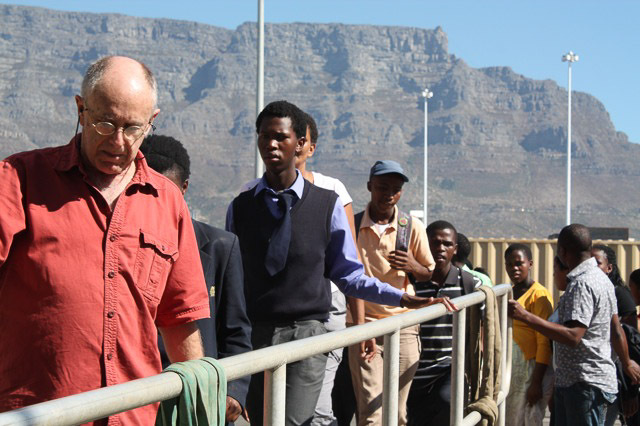 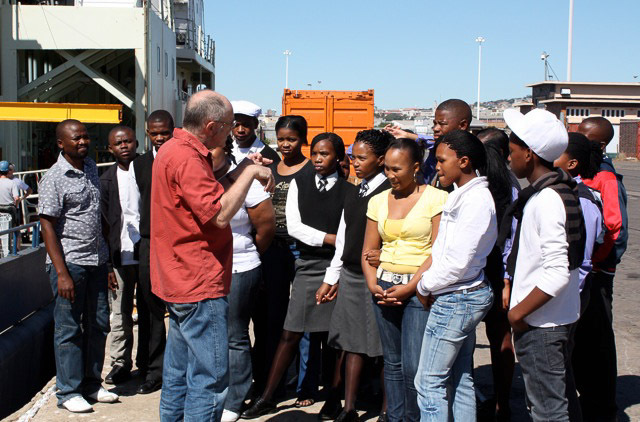 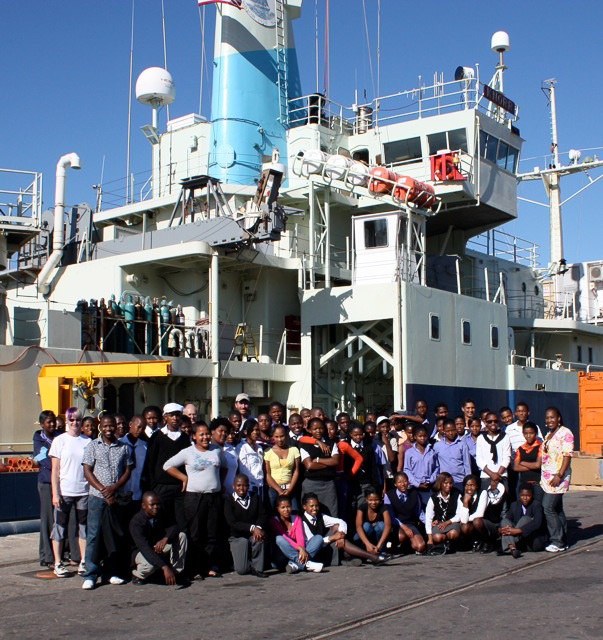 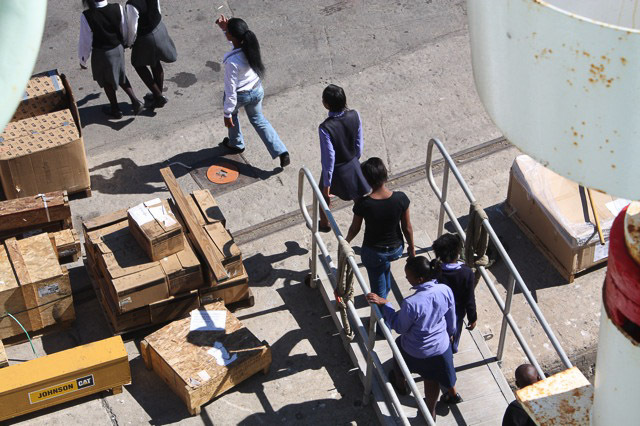 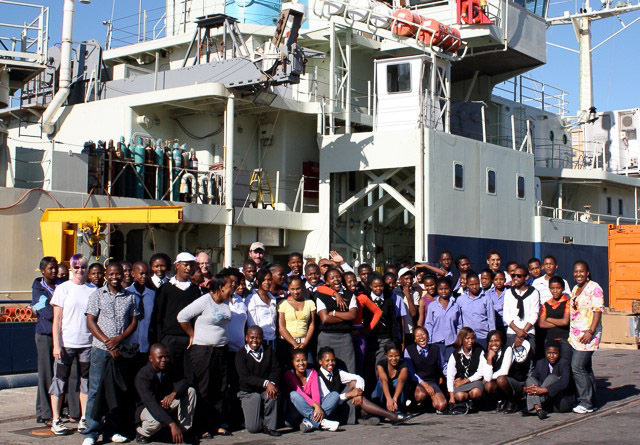 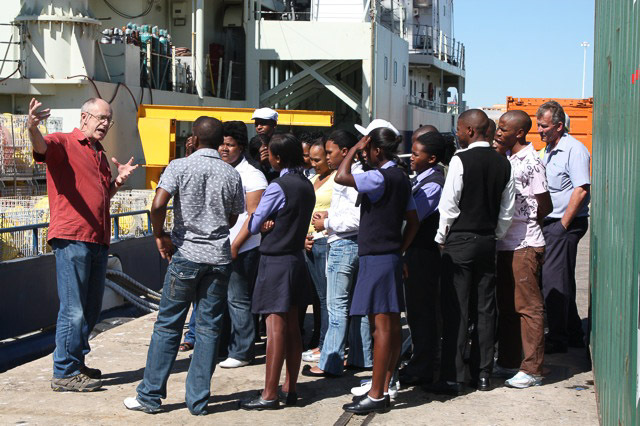 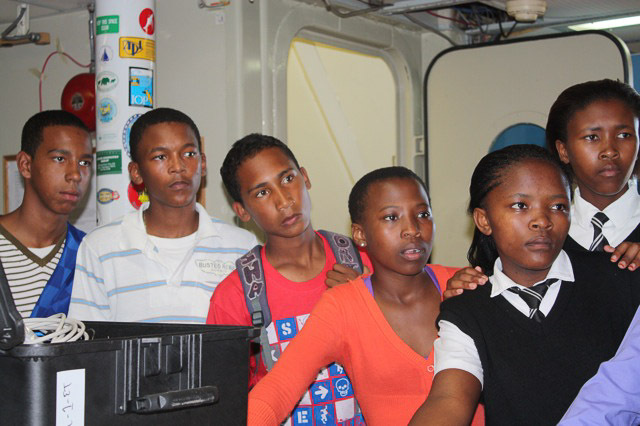 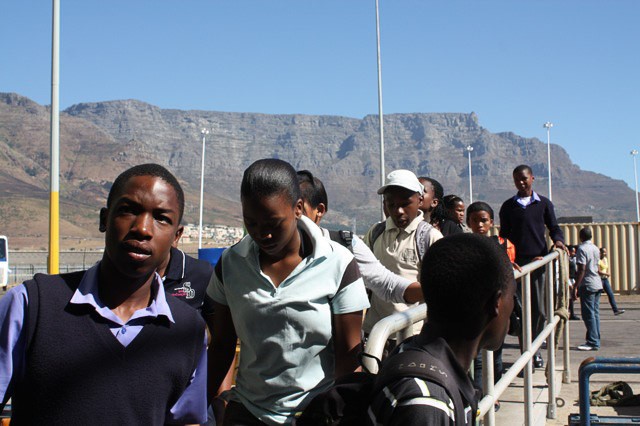 During our first day of mobilization, school children from Ocean View and Hout Bay secondary schools in Cape Town joined us for a tour of the ship! 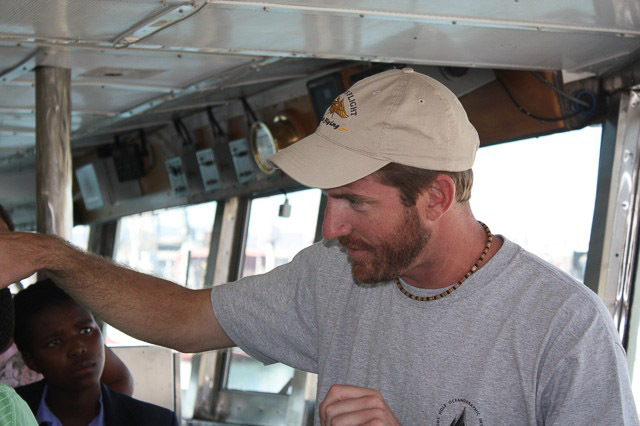 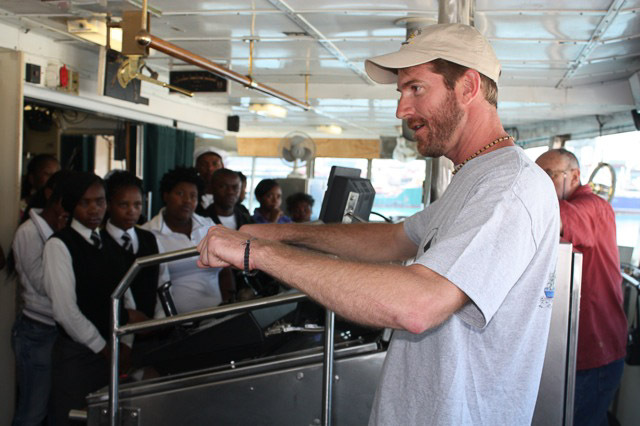 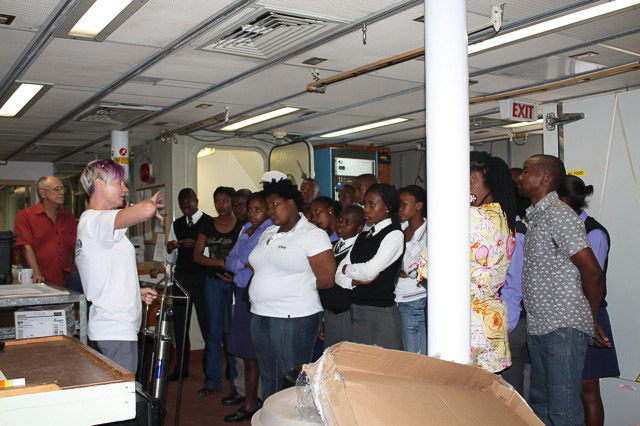 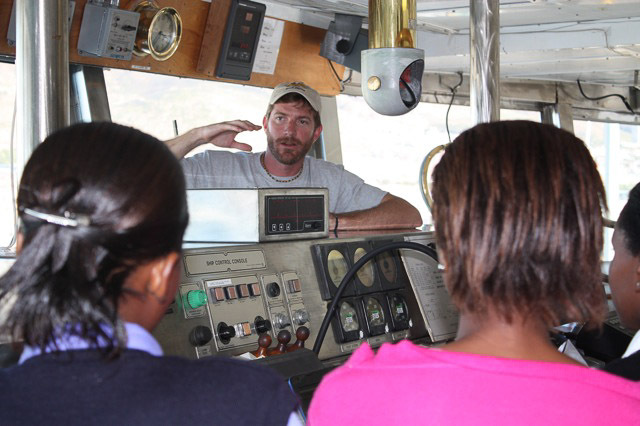 Our outreach coordinator, Dallas Murphy led the tour, explaining about the ocean, the currents, and life aboard ship. 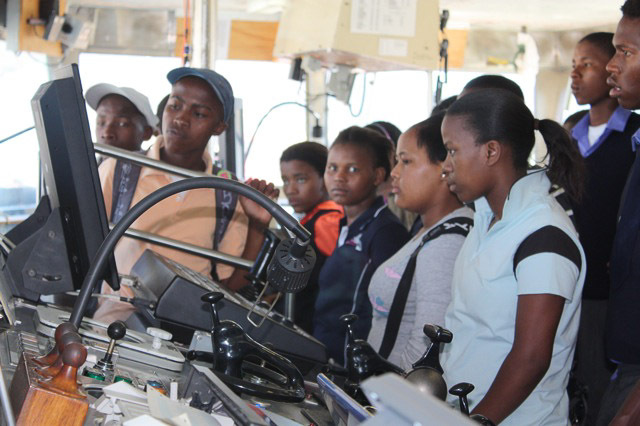 Chief Scientist, Lisa Beal showed them an acoustic current meter and talked about the experiment in the main science lab, while Captain Kent Sheasley gave them a run down of navigation and ship-handling on the bridge. 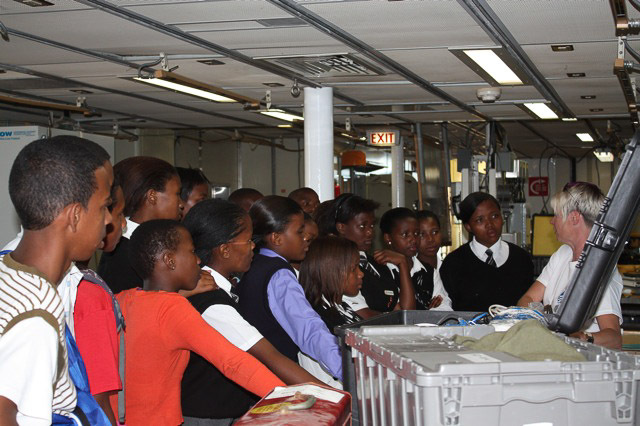 We thank Thomas Mtontsi for organizing the school tour.